A couple of years ago I watched a film called Blackfish which is one of the most heartbreaking films I’ve seen. If you haven’t seen it and especially if you are ever thinking of going to any dolphin or whale shows you should definitely watch this first. It follows the story of an orca called Tilikum but is also about the industry as a whole and centres like SeaWorld that use these animals for entertainment. The film caused a huge ripple effect which has hit SeaWorld hard and rightly so. Captivity doesn’t meet a single one of the most basic welfare needs of whales and dolphins, including even the correct diet and water. You may think it doesn’t matter to us because the UK doesn’t have such shows but there is a duplicity that is going on at home as well. 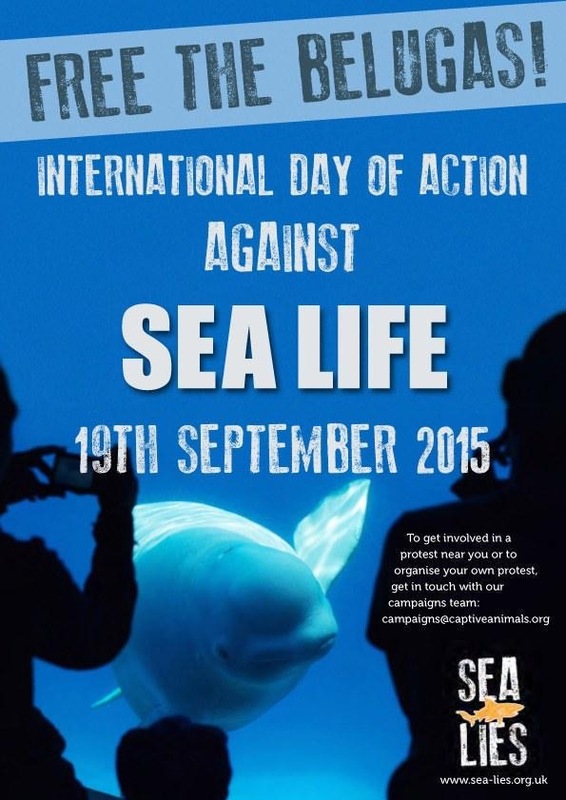 Sea Life operates a number of aquariums, none of which, in the UK, have whales and dolphins. Their website states that they do not believe that these complex creatures should be kept in captivity. Very laudable BUT there’s more to it than meets the eye. A recent investigation by CAPS (the Captive Animals’ Protection Society) has found that the company behind Sea Life, Merlin Entertainment, owns a centre in Shanghai which has not one but THREE beluga whales. Not only are they captive but they perform shows just like the ones at SeaWorld and they tell all the same lies about euthanasia and death rates and the shameful process of taking these animals from their family groups in the wild.